This is a really cool toy idea…one that can be changed for a lot of different variations of moving toys. This is an air ship / space ship zip line moving toy. 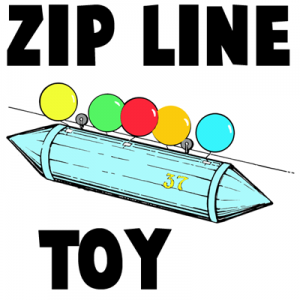 Find out how to make this zip line toy that zips and moves, by reading the step by step, illustrated instructions below in our crafts project tutorial. Have fun. This is a labeled image of the craft that we are going to be making today. Find the more detailed instructions below. The dimensions of the poster board are just a suggestion…use any size that you have. 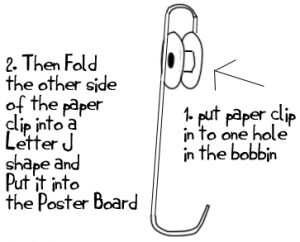 Roll poster board into a tube shape and glue and staple. If you don’t have staples…just use glue. 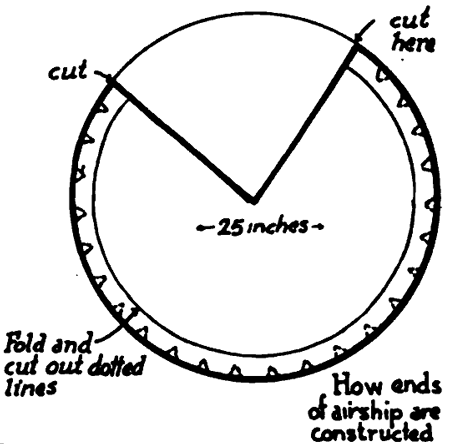 For the cone shapes at the end of our air ship, use a paper plate (or any type of disposable plate). All you have to do is cut a triangle in the plate and the fold like you see in the image below. 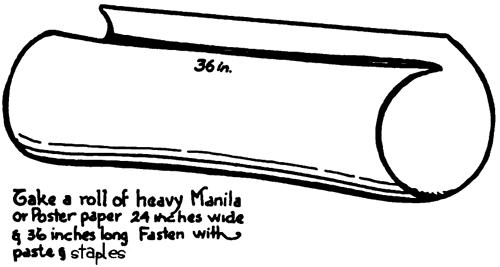 You can also cut out triangles on the ends of the plate … but not necessary if you are in a hurry. Fold the paper plates into cones and paste them to the poster board. 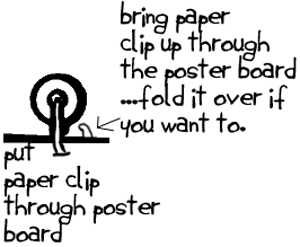 At the top of the poster board I start showing you how to make the wheels for the zip line. Detailed instructions are below. Take a paper clip, thread it through one side of the bobbin and then bend it OVER the bobbin and around it to form a letter ‘J’ like you see in the illustration above. Now take the ‘J’ part of the paper clip and thread it through the poster board and bend it over to make sure that they stay fastened to the air space ship. If you have balloons, tape them to the top of the airship. Now just take string / cord and attach it to two different places….one of the attachments should be higher than the other attachment. Make sure that the string is taught (tight). Now just put the bobbins on top of the string and let it go for a lot of fun! I would suggest using gift wrapping ribbon instead of string. This helped the bobbins stay flat on the string.